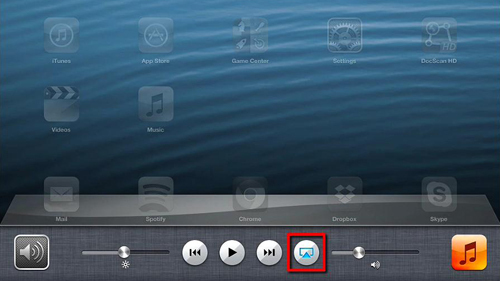 In this tutorial you are going to learn how to use Airplay on iPad. First of all you are going to have to have the program called AirServer installed on your PC. You can download this from “www.airserverapp.com”. 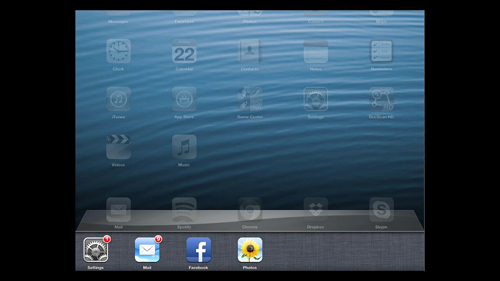 You need to use the multitouch gesture on your iPad to bring up the open programs menu. Use your finger to swipe to the right and you will see a series of options, one of which looks like an arrow pointing into a box, touch this. As you can see here it is already blue, indicating it is working and this is because we are using the program to create this screencast. When you touch it above you will see a tick next to the iPad option, but here you can see that it is broadcasting to our main computer. You can also see that the “Mirroring” option is set to “ON”. This is what allows you to show the screen on the computer, so if you want this feature activated make sure it is set to this position. That is the simple process for learning how to use Airplay on iPad.